Nature news that made headlines, plus a good helping of the cute and the quirky, all wrapped up in a weekly two-minute roundup. 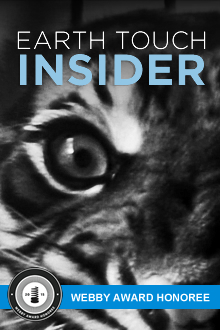 Get facts and insights into some of the biggest issues affecting wildlife and wild habitats across the globe … one in-depth insider look at a time. Mantis shrimp, bearded scorpionfish & beautiful corals in 4K. Pelican fishing lessons, blue whale demolition & a bacon-loving polar bear. Sea fans, anemones and Jellyfish in 4K. Orangutan rescue, huge pangolin seizure & a moose car wash.
Turtles chase a diver & rare fish behaviour. Miley Cyrus against hunting, an epic eel migration & melon-munching opossums. Shadow-stalking trumpetfish & a shark on the hunt. Prince William for wildlife, hitchhiking koalas & jaguars on the hunt. Rare green turtle, titan triggerfish & nudibranchs in 4K. SeaWorld breeding ban, kiwi bird treadmills & swimming echidnas. 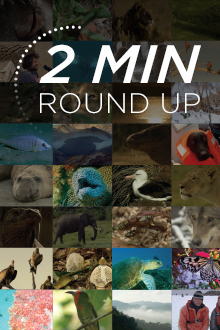 Nature news that made headlines, plus a good helping of the cute and the quirky, all wrapped up in a weekly two-minute video roundup.